HomeAct BeautifulBalanced BeautySpring is here! Time to update your beauty routine! Spring is here! Time to update your beauty routine! Temperatures are getting warmer and days longer. It also means that your skin needs a change too. We're here to help you adapt your routine for the sunny days to come! Always start by washing your face with a cleansing gel or micellar water, depending on your type of skin. For example, Hydra Végétal Ultra-Fresh Cleansing Gel or Sensitive Végétal Soothing Micellar Water 2 in 1. The goal is to eliminate impurities and leave your skin feeling soft, clean and comfortable. 2/ Wake up your skin! Now that your skin is nice and clean, give it a burst of radiance and tone it with a lotion like Sérum Végétal Perfecting Toning Lotion to make it firm and bright. 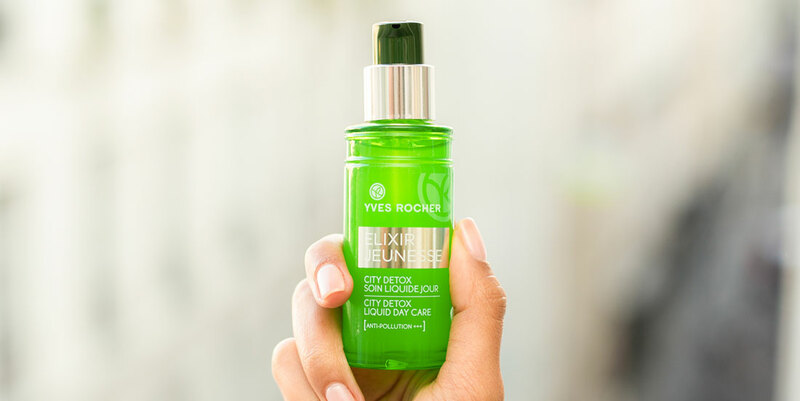 Protect yourself from external stressors while keeping your skin in great condition with Elixir Jeunesse City Detox Liquid Daytime Care. We love the anti-pollution action and lightweight almost invisible texture for that barely-there effect and moisturized skin! We haven't forget about our sensitive skin friends out there: the Intense Soothing Moisturizing Care soothes your skin, while keeping it hydrated and protected against external stressors. You might have notice that your skin have a tendency to shine more when warmer spring temperatures arrives. The Super Mat Zero Shine Foundation is your best defense as it acts like a shield when shine strikes. With its non-oily texture and powder-soft feel it leaves your skin feeling soft and matte without that cakey effect! Bonus: It has a vegan formula! We're not telling you anything new here, but you should also change your foundation shade to match your complexion because sunny days mean a darker skin tone. 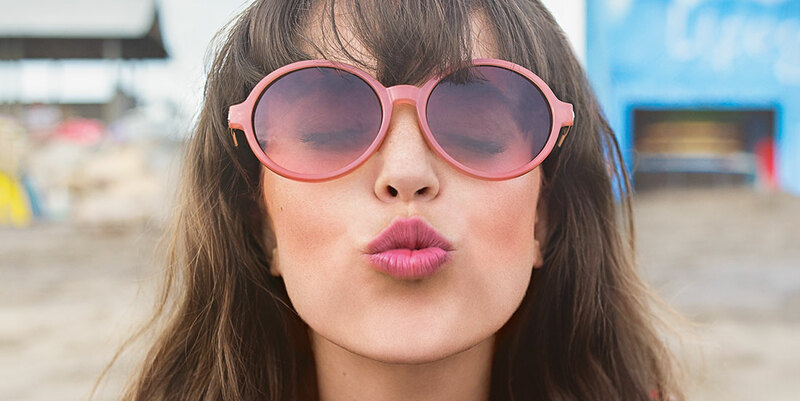 Have fun with spring colors on your eyelids, lips and cheeks: coral, pastels, pinks, and coppers to bring out that new glow and the beauty of your skin! 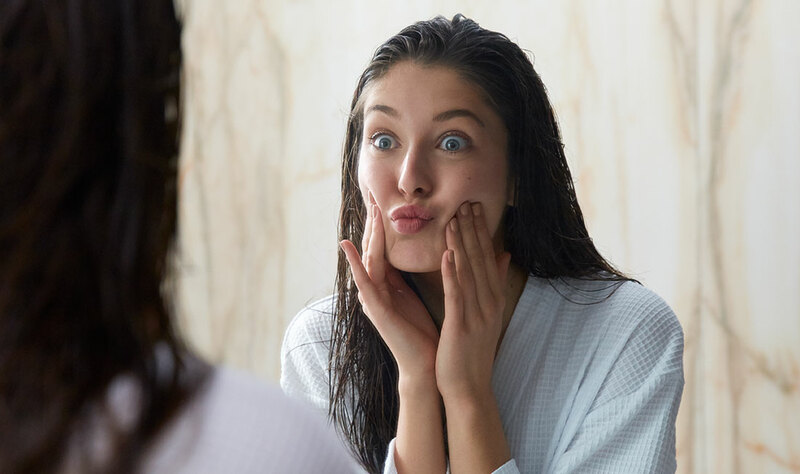 Your night routine is just as important as your morning ritual because during the day your skin is exposed to external factors that stress it out and accelerate the aging process. But where to start? Like in the morning, washing is always the first step for starting off your skincare routine. Use Elixir Jeunesse Anti-Pollution Cleansing Micellar Water to remove makeup and cleanse your skin. Its detoxifying action purifies and cleans off all the day's impurities as it wipes away every last trace of makeup. You can also use the same toning lotion as in the morning! Unlike in the winter, you can start exfoliating your skin more often. Once or twice a week, treat yourself to a scrub to give your skin a deep clean. The Scrub to Mix is 100% natural with its unique combination of 7 all natural ingredients (that combines sensoriality and effectiveness of minerals and plants). This made-to-measure scrub adapts to your skin's changing needs! Simply mix it with your face cleansing product. Your nighttime moisturizer complements the action of the serum. 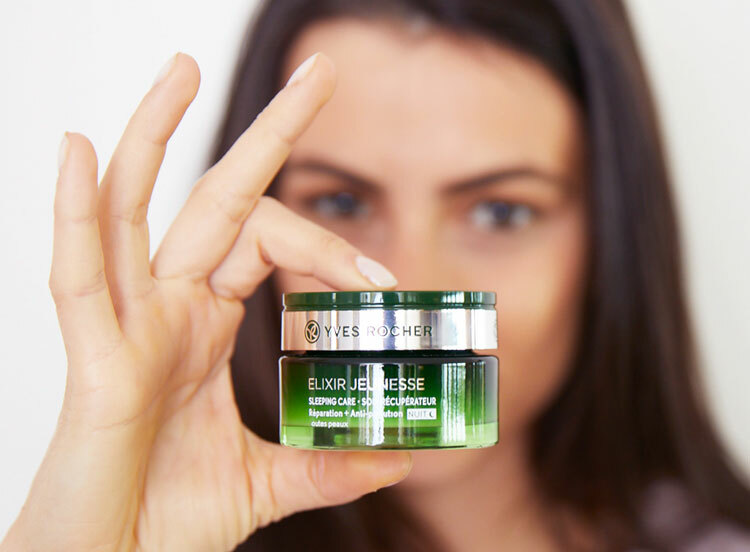 We recommend Elixir Jeunesse Recovery Treatment Sleeping Care + Anti-Pollution to relax and soothe your skin. The result? In the morning, your skin will have a natural glow. No longer asphyxiated, it appears repaired**. Those are the secrets for skin that’s healthier, hydrated and looking radiant to kick the season off right. Hello spring! What is your favorite product in your routine?